What is the Community Closet? It is a ministry ran by Calvary Temple that provides clothing to anyone. The clothing closet is located at the back right corner of our property in the metal building. 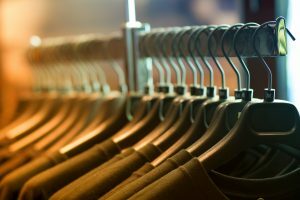 If you cannot afford to buy clothing but need clothes there are several agencies or churches in the area that have referral forms. You request a referral form from one of those agencies and bring it to our facility along with a photo ID during the hours of operation. You then will receive 1 bag per person listed on your form for FREE. You may come with a new referral form once a month. What if I can afford the clothing and don’t need a referral form? Great! You can shop as much as you want and will only be charged $7 per bag of clothes. What kind of clothes does the Clothing Closet have? It has all sizes for men, women, juniors, children, and babies. We have plus sizes and some maternity too. What condition are the clothes in? They are in good to excellent condition. The volunteers never put out anything that has a stain or tear on it. They do their best to keep “up to date” clothing out. What time is the closet open? They are open on Tuesday,Thursday and Saturday from 9 a.m. until Noon. They are always closed on holidays and if there is bad weather.. There is a yellow shed on our property where you can drop off your donations or feel free to drop them by the church office during business hours. Toys, household items, furniture, bicycles, strollers etc. please call for an appointment if the items are not clothing. What items will I find at the clothing closet?